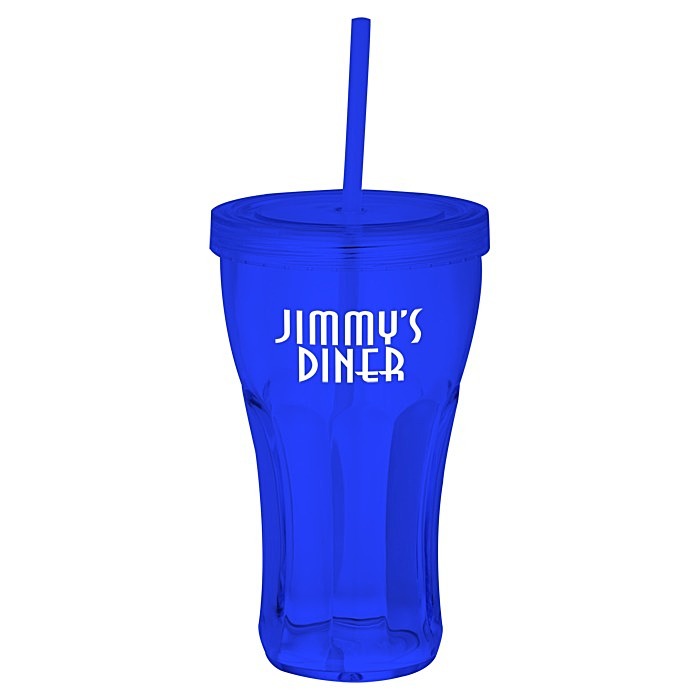 Printed tumbler gives a nod to retro and a smile to the future with 24hr shipping! 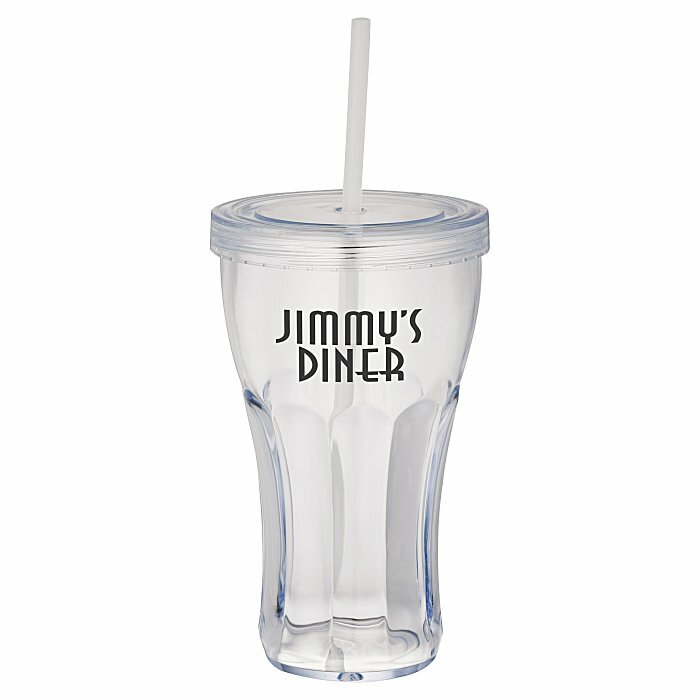 Enjoy a milkshake, cream soda, root beer float or fountain soda out of this vintage-inspired cup. The memorable shape creates a strong lure in all its charm and nostalgia. Matching protective screw-on lid and removable straw help put a damper on mess. The great thing about these plastic tumblers is—they’re reusable! Create an incentive to return your restaurant, ice cream shop, or drive-through with free refills whenever they bring their own bottles. This cup and lid are made from BPA-free #7 plastic, which can only be recycled in a few limited areas; check locally for more information. Straw is made from polypropylene.